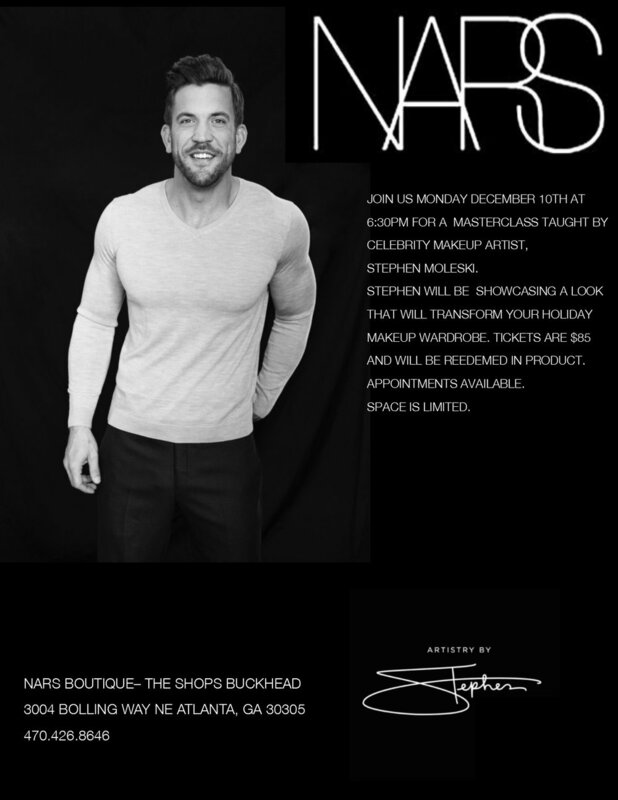 Join us at NARS Buckhead Monday, December 10 at 6:30PM for a masterclass taught by celebrity makeup artist Stephen Moleski. Stephen will be showcasing a look that will transform your holiday makeup wardrobe. Tickets are $85 and will be redeemed in product. Appointments available by calling: 470-426-8646. Carolina Wren Designs pop-up at Buckhead Art & Co.